While some countries, organizations and mobile network carriers are on the verge of experiencing how the 5G network works, we are still far away from experiencing core 4G speed in Nigeria, what a slow approach we are experiencing here. Thanks to the few carriers and telecom operators who are trying as much as possible to offer us 4G, the likes of Swift 4G, Smile 4G and so on. But now, another company is bringing 4G network to the nook and cranny of Nigeria and the so-called company is NTEL. UPDATE: You can now reserve your NTEL 0804 number ahead of the 4G LTE launch in Nigeria. Here's how! 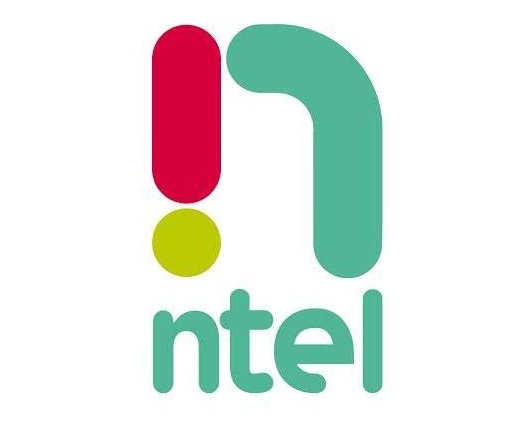 NTEL started when NatCom Development & Investment Ltd (NatCom) acquired the core telecom assets, previously owned by NiTel/MTel (Nigeria’s national fixed and mobile operators) in a guided liquidation process. This process was supervised and approved by Nigeria’s Bureau of Public Enterprises and a High Court appointed liquidator. It completed in May 2015, from which date the NiTel/MTel core telecoms assets were wholly transferred to NatCom’s ownership. Since then NatCom has chose to operate with the name - NTEL. NTEL’s LTE network is designed on the 900/1800 Mhz frequency bands which, in combination with Carrier Aggregation and Multiple Antennae (4X4) technology, (hence LTE Advanced), enables maximum and average throughput rates of 230Mbps and 60Mbps respectively. NTEL’s overarching commitment is to deliver networks featuring the most advanced communications technology, to provide the largest possible network coverage and, through this, to enable the most satisfying experience for customers using the relevant applications of the day. NTEL will provide fixed line telecoms services across voice, Internet Access and messaging, and video services, to homes and businesses in Nigeria’s cities and towns. The company made its first on-net test data call in Lagos on Monday January 18, 2016. This was followed by its first Voice-over-LTE (VoLTE) call in Lagos on Thursday February 25, 2016. The test VoLTE call was achieved in partnership with Original Equipment Manufacturers, Ericsson of Sweden and Sony Mobile of Japan. Further VoLTE calls have since been completed with Samsung Electronics of South Korea, ZTE of China and Tecno of Nigeria. These events are significant because they signal the beginning of a new phase in Nigeria’s Telecoms industry with NTEL building on foundations established by NiTEL/MTel but using new technology that is the most advanced available to telecommunications operators, globally. NTEL mission to boost prosperity and transform lives of Nigerians through its firm belief in delivering abundant broadband based mobile services for the most demanding consumer and enterprise applications at prices that represent best value in today’s marketplace.